The 44th I.D. held the northern most position in the Seventh Army. The division was on the boundary between not just two Army Corps, XV and XII Corps, but that of two Allied armies, General Patch’s Seventh and Patton’s Third. The Panzer Lehr led counter-attack of November 1944 involved both of these American armies. Lehr battled with lead elements of XII Corp of the Third Army to reach the soldiers of the 114th Regiment at Schalbach. The counter-attack failed its mission, ending with the gallant stand at Schalbach because of the combined efforts of these separate units under the command of General Eisenhower. To understand the outcome, demands understanding all related events, including those with other American units. The event is a critical development in the course of this America-Germany war which involved the heroism of probably the bravest, yet the least credited warring unit. This full report not only attempts to throw light on uncredited but also to provide tribute from ourselves and the readers to the unsung heroes. This prospective is provided by the following, much of the content is from “The Lorraine Campaign”, by Hugh M. Cole, Chapter 10, pages 462- 476, Historical Division, United States Army, Washington D.C., 1993. The successful attack by the XV Corps in the low Vosges had driven straight into the joint between the German First and Nineteenth Armies. A advance on 21 November by the 44th I.D. and other XV Corp units threatened to isolate and destroy the left wing of the German First Army which alone barred the westward approaches to the key Saverne Gap. There were no reserves whatever behind the seam between the two German armies. The collapse of the entire German defense loomed prominently. Once the Americans and French had overrun the German forces in the Sarrebourg-Saverne area the tactical connection between the First and Nineteenth Armies would be broken-as in fact it was broken on 23 November. General Balck, the commander responsible for the two threatened German armies, pleaded for armored help on the morning of 21 November. Field Marshal Rundstedt could give no aid-reinforcements in any strength. Help could only come from the strategic reserve, the armored formations scheduled for the Ardennes counteroffensive. Meanwhile the American VII Corp advance in the sector west of Sarre-Union posed a new problem, an additional break-through on the left flank of the First Army. Finally, the desperate German High Command released the famed Panzer Lehr Division, promising that the division would be concentrated in the vicinity of Sarrebourg on the morning of 23 November. Its order and mission: attack directly south against the American flank in a blow to “annihilate” the XV Corp by advancing east of Sarrebourg. The Panzer Lehr Division was among the top-flight armored units of the Wehrmacht, although it was one of the last to be formed. Generalleutnant Fritz Bayerlein, who commanded the division, had won fame as Rommel’s Chief of Staff in North Africa and was an able and experienced soldier. The Panzer Lehr Division had been bled white during the Normandy campaign and, after fighting in the withdrawal across France, had been sent back to Germany for refitting in preparation for the Ardennes counteroffensive. On 21 November the formation stood at about half its authorized strength in armored infantry and artillery; the tank regiment had approximately thirty-four Mark IV’s and thirty-eight Panthers. Elite German units held priority, it would be close to full strength, with the latest equipment, in time for the Ardennes attack. General Balck, commander of the two threatened Germany Armies counted on Bayerlein to make his armored thrust “deep” into the American 44th I.D. flank. Bayerlein was ordered to make a co-coordinated attack with the German 361st VG Division. An additional four artillery battalions reinforced the two divisions. Once its mission completed, two additional scarce German infantry divisions were allocated to take over and hold the ground won by Lehr. Thus the dangerous breach in the German lines in the low Vosges would be restored. The Panzer Lehr Division’s counter-attack began with a 300-mile forced march from the Munster training ground into the Sarre-Union area of XII Corp on the morning of 23 November according to plan. General Balck, who had reported to his superiors that he was “very happy” about this armored reinforcement, addressed a special order of the day to the Panzer Lehr Division saying that “the fate of Alsace” depended on its efforts. The road net leading south to Sarrebourg was adequate for a tank attack, the American forces in the sector appeared to be only weak infantry detachments. And Panzer Lehr had a reputation as an elite armored unit. General Balck promise that its intervention in the battle would bring “decisive results.” His subordinate German First Army commander, General Knobelsdorff, put himself on record, however, as predicting that the Panzer Lehr Division would recover none of the lost ground and probably would be fortunate to hold the sector north of Sarrebourg still in German hands. Bayerlein formed his command into two columns south of Sarre-Union and by mid-afternoon of the 23d was ready to launch the attack, although two armored infantry, battalions, two batteries of assault guns, and part of his reconnaissance battalion had not yet arrived at the concentration point. The easternmost column the stronger of the two-had orders to attack via Eywiller and Schalbach. The route for the western column ran through Wolfskirchen, Postroff, Baerendorf, and Rauwiller. Its initial object was the seizure of the highway between Sarrebourg and Phalsbourg east of the former city. Bayerlein intended that the two columns would continue south to Hazelbourg, at the edge of the Vosges, and then turn north to free the troops around Phalsbourg. By dark the Panzer Lehr was driving in the cavalry outposts of the 106th Cavalry Group, north of Hirschland and Weyer, which screened the positions held by elements of the 44th Infantry Division. Balck instructed Bayerlein to continue the advance through the night, and at the same time ordered the LXIV Corps, which held the right flank of the Nineteenth Army, to send a Kampfgruppe north from the St. Quirin sector, some ten miles southwest of Hazelbourg, to implement a “concentric attack” against the American forces in the vicinity of Phalsbourg and Saverne. During the night of 23-24 November the leading elements of Bayerlein’s eastern column engaged part of the 114th Infantry and a few tank destroyers at Ischermuhl, just southwest of Weyer. The Americans held their ground against the first onslaughts and beat back the enemy. About 0400 the advance guard of the western column drove the American cavalry out of Hirschland, and an hour later the Germans were fighting the 2d Battalion of the 71st Infantry and a small force of cavalry and tank destroyers in Rauwiller. When the enemy main body came up, Rauwiller was quickly enveloped, but the 71st Infantry re-formed its lines south of the village. The Panzer Lehr attack at this moment loomed large as a threat to the attenuated left flank of the XV Corps drive and General Haislip, commander of XV Corp, ordered the 114th Infantry Regiment to fall back on Schalbach, thus covering the exposed right of the 71st Infantry. In the threatened sector Haislip had the two regiments of the 44th Division, the 106th Cavalry Group, and three tank destroyer companies, plus the 157th Infantry of the 45th Division in reserve. The main body of the 45th Division was en route to the Saverne Gap, but General Haislip temporarily canceled this movement in order to provide additional reinforcements north of Sarrebourg if they should be needed. Two new factors, introduced on 24 November, radically altered the situation and wrested the initiative from the Panzer Lehr Division. General Eisenhower made a visit to the XV Corps headquarters at Sarrebourg and, after some study of the Seventh Army plans, directed that the XV Corps mission be changed from an advance eastward to an advance generally northward astride the Vosges mountains. This shift ultimately would permit General Haislip to go over to the offensive in the Sarrebourg sector. The 3rd Army assigned 4th Armored, would provide an important and immediate counter to the Panzer Lehr attack to the north. Here the lead American elements reached the Sarre River on 24-November which lay approximately abreast of the forward points reached by the advance elements of Panzer Lehr’s two attacking columns. However, the eastern bank of the river was so weakly manned by the Germans to permit the American armor some room for maneuver. Task Force Churchill, which crossed at the northern site, rolled with little opposition northeast to some high ground west of the village of Postroff. In this position the column could block Lehr while another Allied battle group, Task Force Jaques made the longer move up from the south. Jaques’ command ran into a short, sharp fight at Kirrberg and then headed north to get onto the main road at Baerendorf-striking straight into the Panzer Lehr flank. The 53d Armored Infantry Battalion made a human chain to cross through the chilling waters of a stream west of the village and then, under cover of fire from the tanks and assault guns, took the high ground surrounding Baerendorf. Meanwhile a few tanks had been put across the stream and the assault force descended on the village, clearing it in a house-to-house battle with the 1st Battalion of the 902d Panzer Grenadier Regiment, reinforced by some engineers and reconnaissance troops. The enemy battalion had been ordered to hold on until reinforcements could be brought back from the head of the German column. Later Bayerlein reported “very high losses” in the defense of Baerendorf. Actually the German armored infantry, most of whom were fighting in their first battle, did not offer much resistance- a symptom of the lack of training and poverty of personnel which at this time plagued many of the top-ranking German divisions. The fight at Baerendorf was characteristic of the ensuing engagements between the 4th Armored Division and the Panzer Lehr Division. The November mud limited tank maneuver to the roads-which soon went to pieces when used by two armored divisions. Slugging matches between tanks, like those which had taken place around Arracourt during September, seldom would occur. The armored infantry and engineers would be the final arbiters of the field, while the tanks would be relegated more and more to the role of accompanying artillery. Bayerlein employed his strong eastern column to continue the main attack southward on the early morning of 25 November, at the same time turning his western column from its course in an attack toward Fénétrange designed to catch the American armor in the flank just before dawn the German tanks and infantry launched a counterattack from the north and east against Baerendorf. Here the 53d Armored Infantry Battalion had been disposed in a perimeter defense around the village, while beyond the eastern edge of Baerendorf a tank company from the 8th Tank Battalion held an outpost position guarding a bridge across a small creek. The enemy surprised one of the platoons east of the bridge, and a few of the American crews deserted their tanks. 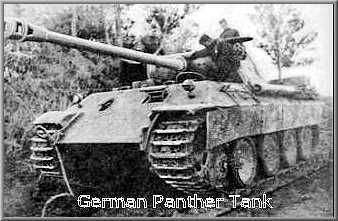 But when the Panthers incautiously came down to the bridge they were met by direct fire from other American tanks, several were destroyed, and the rest were forced to turn back along the road to, Hirschland. On the north side of the Baerendorf perimeter the 53d engaged in a bitter melee in the dark. Although both sides lost heavily, the heavy machine guns manned by the 53d finally checked the assault and the enemy retired. While Task Force Jaques fought at Baerendorf the 2d Battalion of the 114th Infantry and the 106th Cavalry Group were hit by the eastern column of the Panzer Lehr Division advancing against Schalbach. An Alsatian deserter had given warning of the impending attack, but the troops in Schalbach were uncertain as to the whereabouts of the 4th Armored Division, and their supporting artillery had orders to withhold fire. The enemy attack was almost in the 2d Battalion lines when Lt. Col. Charles L. Haley, commanding the 17th Field Artillery Battalion, gave orders, on his own initiative, to open fire. This act broke up the first German attempt. About ten o’clock an air observer saw a long line of tanks and vehicles coming down the road from Hirschland. This time the American artillery was free to intervene. The 17th and 961st Field Artillery Battalions poured in a withering fire which continued for nearly an hour and a half. So deadly was this shelling that many German crews deserted their tanks and sought shelter in ditches and farm buildings, others ran their vehicles into defilades in front of the 2d Battalion positions, and the main body turned hurriedly back to Hirschland. At least seven enemy tanks and four armored cars were destroyed in this fight. The losses sustained by the German armored infantry probably were high. The events of 25 November blasted the optimistic hopes which the higher German commands had pinned on the Panzer Lehr Division. That evening Rundstedt gave orders halting the attack and Bayerlein was told to go over to the defensive. The Panzer Lehr Division immediately began to withdraw northward to positions along the lateral road linking Wolfskirchen, Eywiller, and Durstel, which Bayerlein had selected as his main line of resistance.